Indeed! It’s a fun song to play acoustically on a guitar too. Most divine lines! Can’t get enough of him however much you read. Thanks for the post Debra and keep posting such soulful poems often if you like to. Oh wow Rex. I’m so glad I posted Rumi’s poem and that it was perfect timing. Thanks so much for visiting and for leaving a note. Sometimes I hesitate to post poems, especially when they’re not mine, and although I don’t write poetry, but have tried, I love to read poems. So, thanks for the words of encouragement about posting them. It’s great to know that people like to read them as I do! 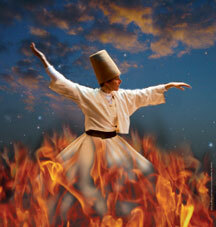 this is a moving post… and I love Rumi’s work. ! well done !